Mulled red wine is a comforting drink to sip and warm your hands - but once you're back home with the heat cranked up, try this delicious frozen version. It features all the spices of traditional mulled wine mixed with ice for a refreshing and unexpected frozen treat. Add ice to the reservoir and all remaining ingredients to the Margaritaville® Jimmy Buffett Anniversary Edition Key West™ Frozen Concoction Maker®. Flip up the Shave & Blend switch to mix the frozen concoction to perfection. Pour into tall glasses, then garnish with orange slices and cinnamon sticks. Mix mulled wine flavors with ice for a cool take on the classic holiday drink. ​It goes without saying that apple cider is always the It drink of the holiday season, but this cool and refreshing shandy rendition puts a fun twist on classic flavors. Pumpkin beer and a dash of lemon and orange juice turn basic apple cider into a whole new taste sensation that will make you feel like you're in a sunny paradise - and not the middle of a blizzard! Add ice to the reservoir and all remaining ingredients to the Margaritaville® Jimmy Buffett Anniversary Edition Key West™ Frozen Concoction Maker®. Flip up the Shave & Blend switch to mix the frozen concoction to perfection. Pour into tall glasses and garnish with lemon slices. A mug of hot chocolate has its place - but this recipe for a chocolate-cherry frozen version of hot chocolate should take a place on your holiday drink menu! Hot cocoa chills out when mixed with shaved ice, cherry flavor and rich milk chocolate. It's unfussy, surprisingly refreshing and perfect for keeping the good vibes going this holiday season. Add ice to the reservoir and all remaining ingredients to the Margaritaville® Jimmy Buffett Anniversary Edition Key West™ Frozen Concoction Maker®. Flip up the Shave & Blend switch to mix the frozen concoction to perfection. To prepare glasses, wet rims and dip into cocoa powder. Pour in frozen concoction, garnish with a sprinkle of chocolate shavings and a cherry, and enjoy. A hot toddy is a holiday cure-all, the drink to rescue you from late nights, a pesky cold and strained schedules. Refresh and revive this season, however, with a cooler twist on the classic beverage. Sure, it's not hot - but it is full of honey and spices to soothe the soul. Add ice to the reservoir and all remaining ingredients to the Margaritaville® Jimmy Buffett Anniversary Edition Key West™ Frozen Concoction Maker®. Flip up the Shave & Blend switch to mix the frozen concoction to perfection. Pour into tall glasses and enjoy. 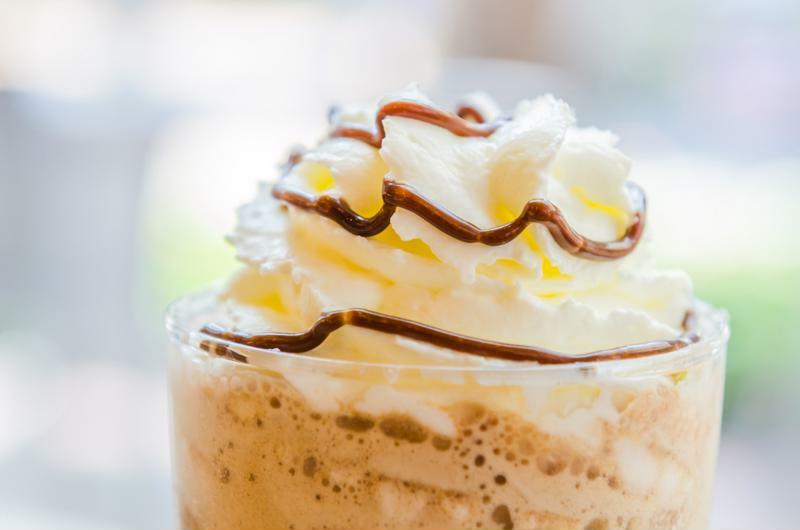 A butterscotch frozen latte is just the thing for after dinner. Sipping a cup of coffee after a long, filling holiday meal is a relaxing ritual - many a fascinating conversation has been had over a late-night, post-dinner coffee. Give this comforting ritual a new spin by swapping hot coffee for a cool, creamy latte loaded with butterscotch flavor. It's the perfect de-caf concoction for winding down the night - or, if you'd rather use caffeinated coffee - for keeping the holiday festivities going into the wee hours of the morning. Add ice to the reservoir and all remaining ingredients to the Margaritaville® Jimmy Buffett Anniversary Edition Key West™ Frozen Concoction Maker®. Flip up the Shave & Blend switch to mix the frozen concoction to perfection. Coat glass rims with brown sugar, pour in frozen concoction. Add a swirl of whipped cream and a drizzle of chocolate sauce and enjoy. Remember to enjoy your frozen concoctions responsibly and follow all drinking laws. 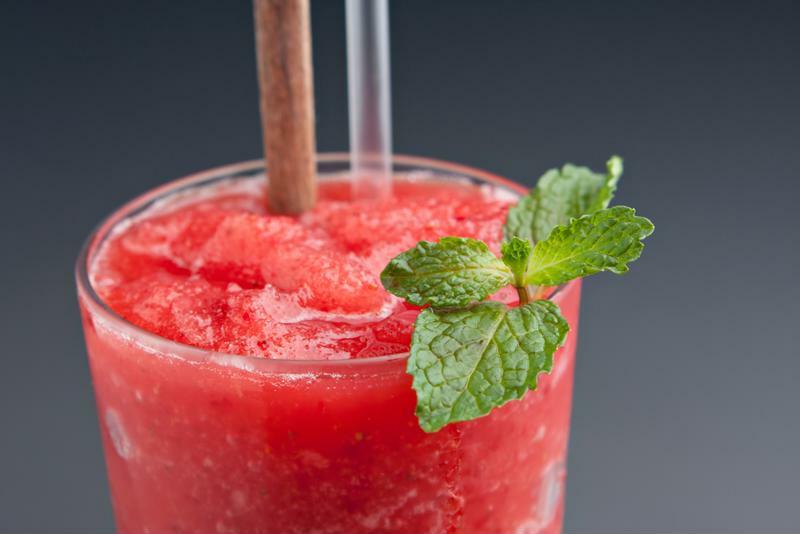 Frozen wine slushies are the best way to enjoy your vino this summer. When summer's in its prime, there's no good reason to spend time inside. Classic margaritas are a favorite of most, but there's always room for experimentation.